Dr. Naama Geva-Zatorsky of the Technion’s Rappaport Faculty of Medicine has received a Canadian Institute for Advanced Research (CIFAR )scholarship from the Azrieli Foundation. This year, 402 researchers from 55 countries submitted their candidacy for the scholarship, and the Foundation selected 12 winners from five countries: Israel, Singapore, the Netherlands, the United States, and Canada. Two of the winners are Israeli: Dr. Geva-Zatorsky and Dr. Yaniv Ziv of the Weizmann Institute’s Department of Neurobiology. The researchers were selected based on excellence in research, potential contribution to the relevant program in CIFAR, and leadership potential outside the academy. The fund announced the winners last week and noted that the diverse areas of research interest include renewable energy, astrophysics, understanding consciousness, and the microbiota’s effect on human evolution and health. Dr. Geva-Zatorsky completed her bachelor’s degree at Tel Aviv University and her MSc and PhD at the Weizmann Institute of Science. After a postdoctoral research at the Harvard Medical School, she joined the Rappaport Faculty of Medicine and the Technion Integrated Cancer Center. 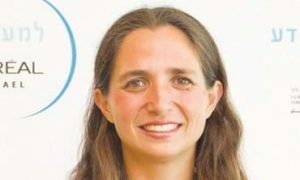 She has been awarded the Alon Fellowship – a prestigious scholarship designed to enable the absorption of young researchers in Israeli universities – and was selected as a Horev Fellow in the Technion’s program for leaders in science and technology. The CIFAR scholarship provides researchers who are just beginning their academic careers with funding and support in building academic ties and developing the skills necessary for research leadership in academia and beyond. Since its inception in 1982, CIFAR has selected about 400 promising researchers. Each recipient receives a $100,000 research grant and is integrated into one of CIFAR’s 12 programs for two years. The program helps participants present their research to colleagues, contribute to discussions, initiate new collaborations, and reach policymakers, industry leaders and others.